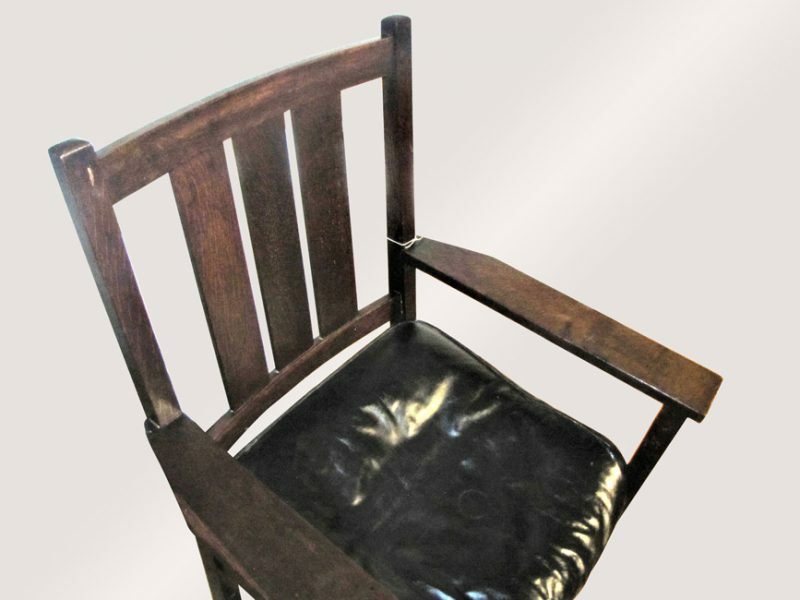 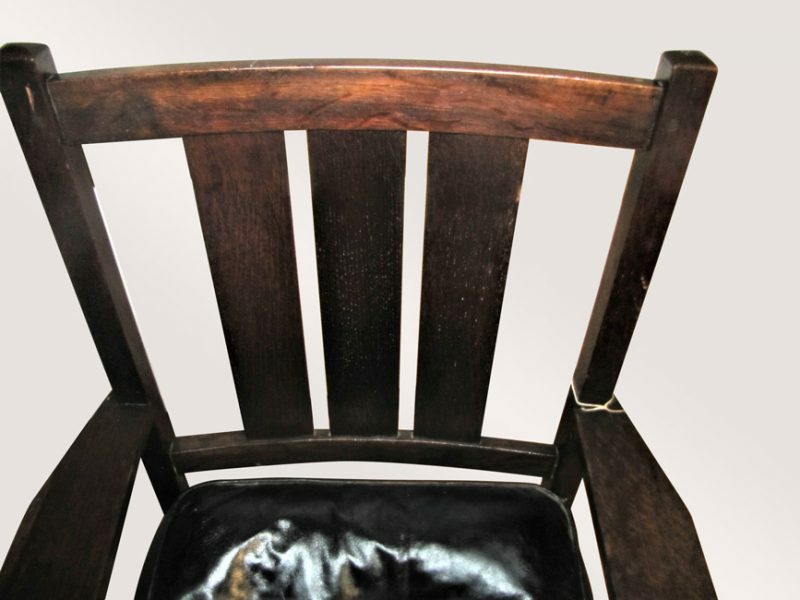 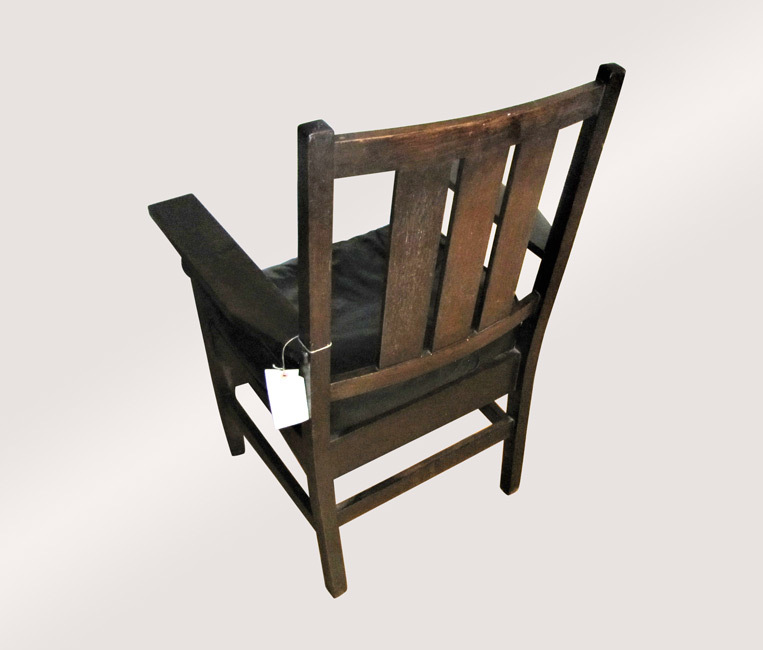 This is an Antique Gustav Stickley Arm Chair from the early 1900’s. 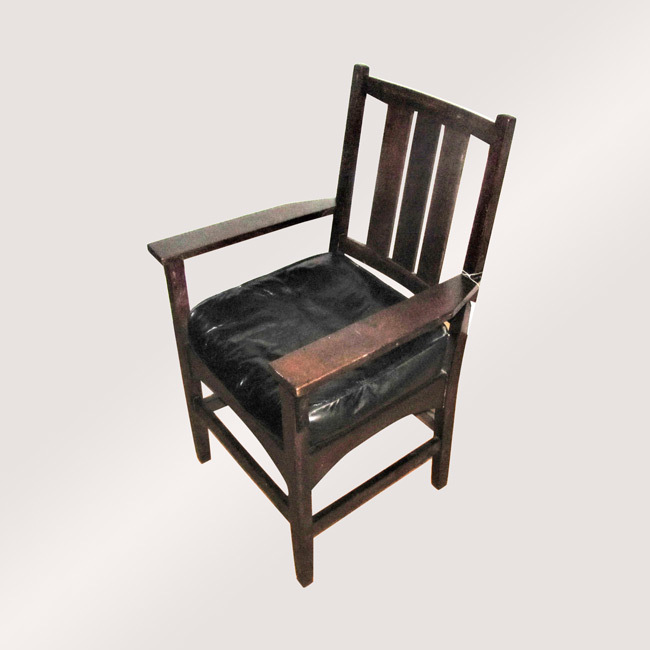 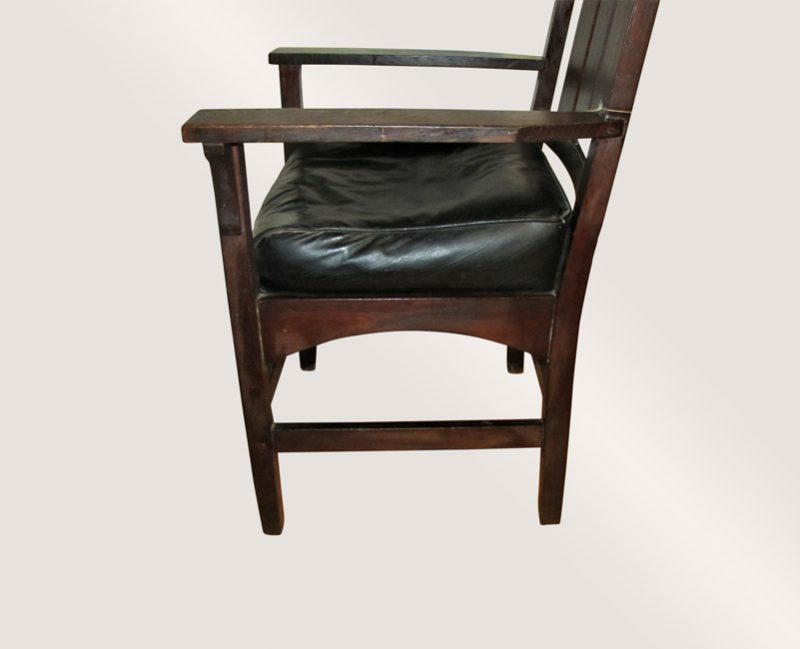 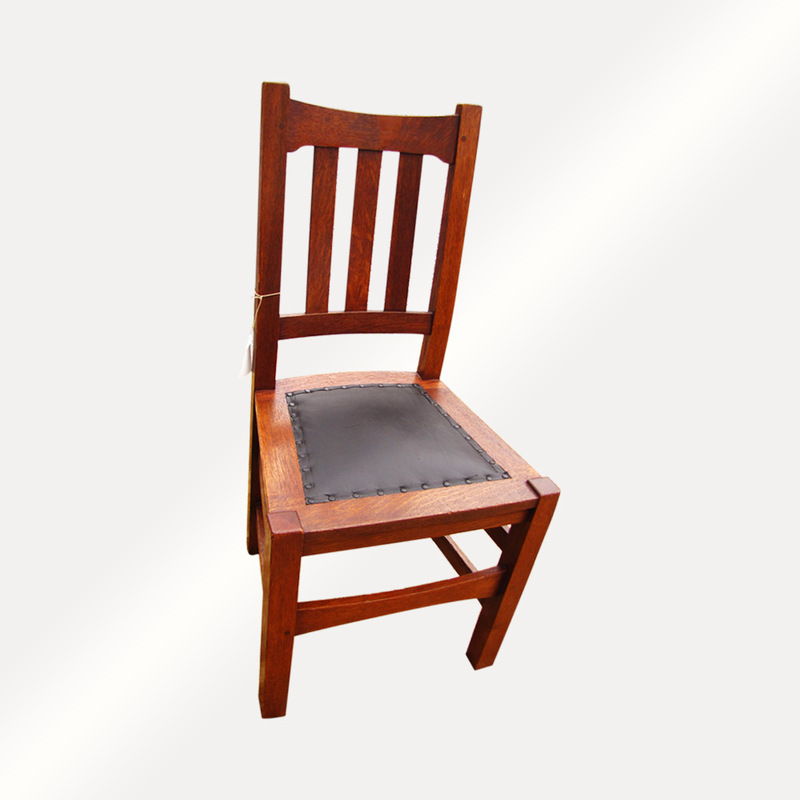 This chair is in very good condition and was made with a beautiful selection of 1/4 sawn oak. 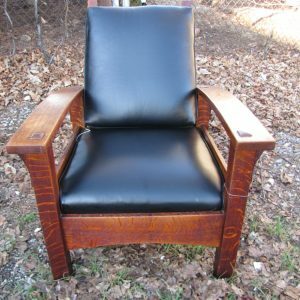 This chair has a good black leather seat. 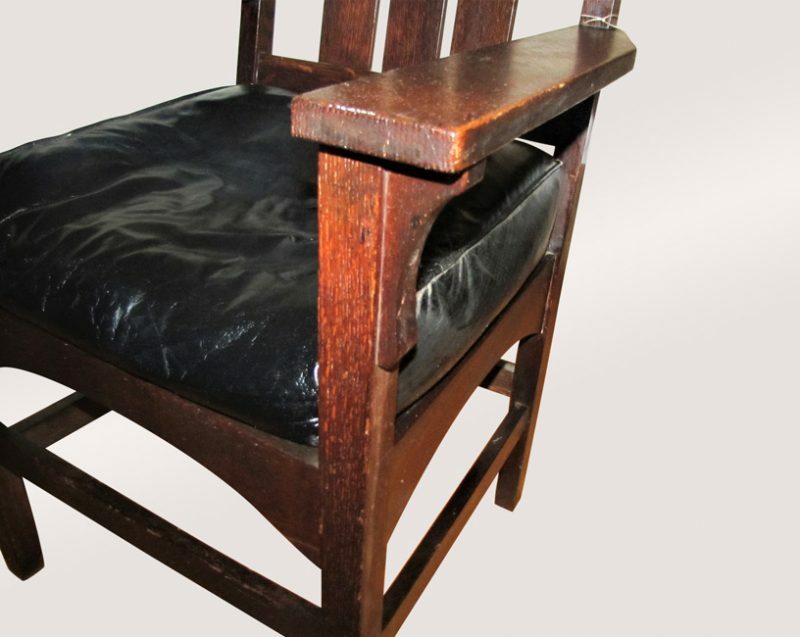 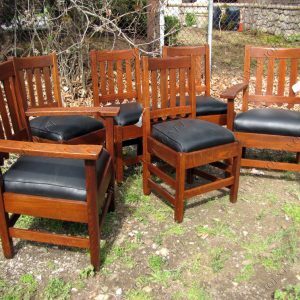 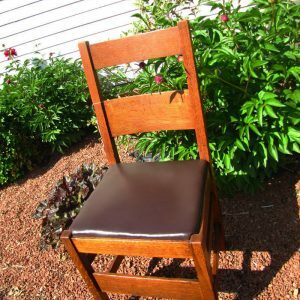 The chair has the original finish that is in good shape. 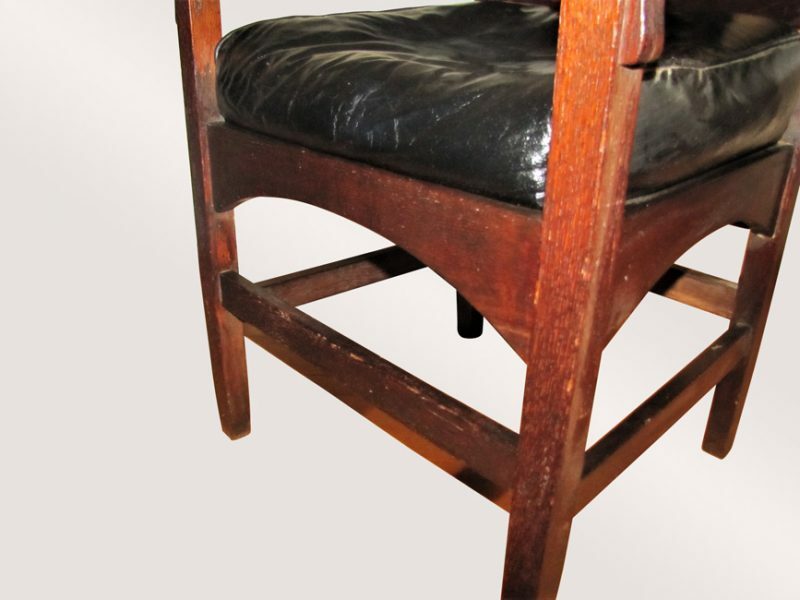 There are no repaired or replaced parts and this is a sturdy and strong chair.